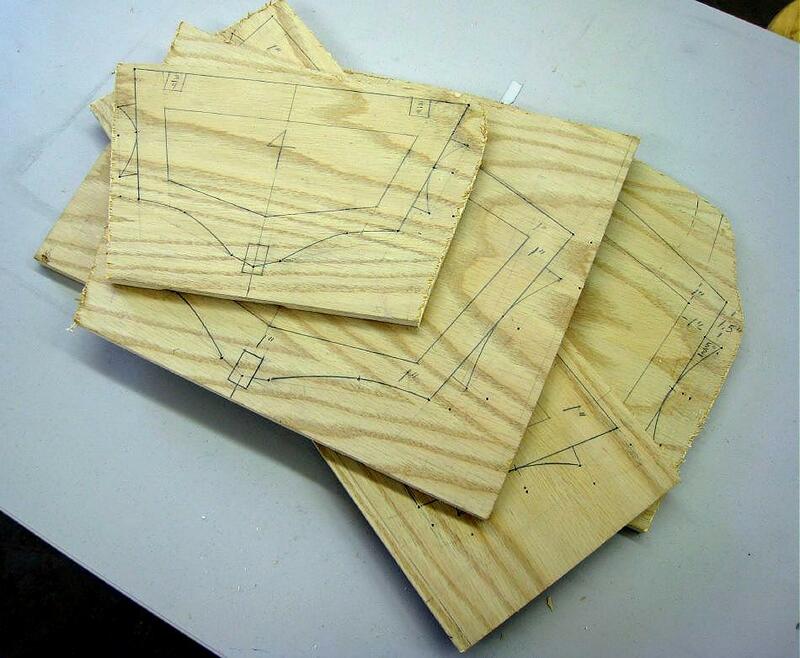 After drawing all cross sections, cut them out with a jig saw from the 2′ X 4′ (61cm X 122cm) sheet. Cut the outside of the cross sections using a band saw or jig saw (shown) with a “fine” wood cutting blade. 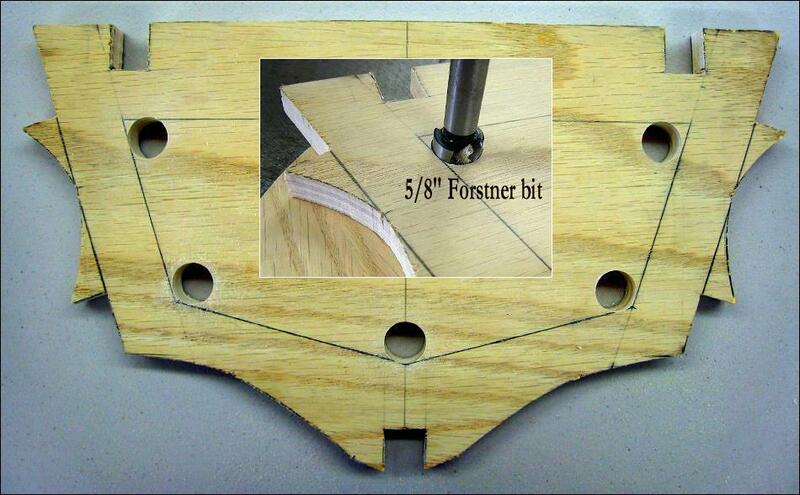 Drill the inside edges of the cross sections using a drill press and 5/8″ or 3/4″ Forstner bit. A hand drill and standard 5/8″ wood bit can be used also. Drilling first rounds the edges leaving more wood and creating a smoother surface than jig sawing alone. 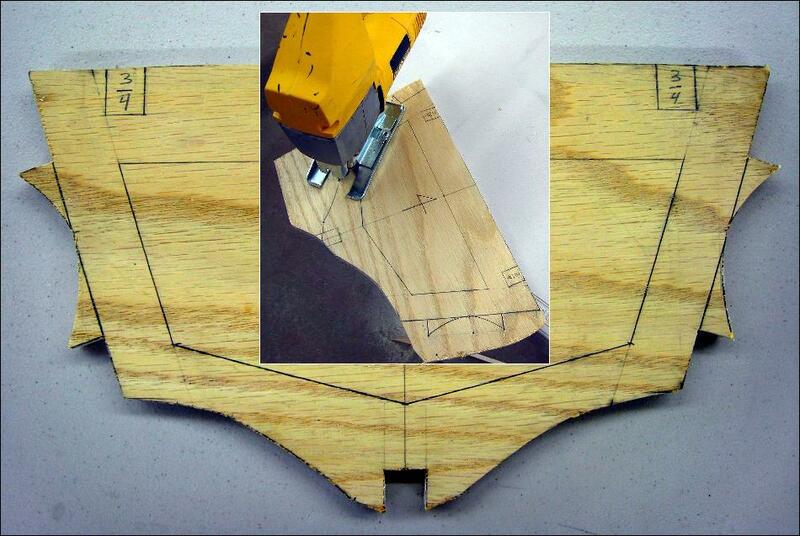 Use a jig saw to cut out the inside area of the cross section. Use a file to round the edges, and to clean up the inside the stringer cutouts. Trial fit the stringers sections to insure a snug fit. 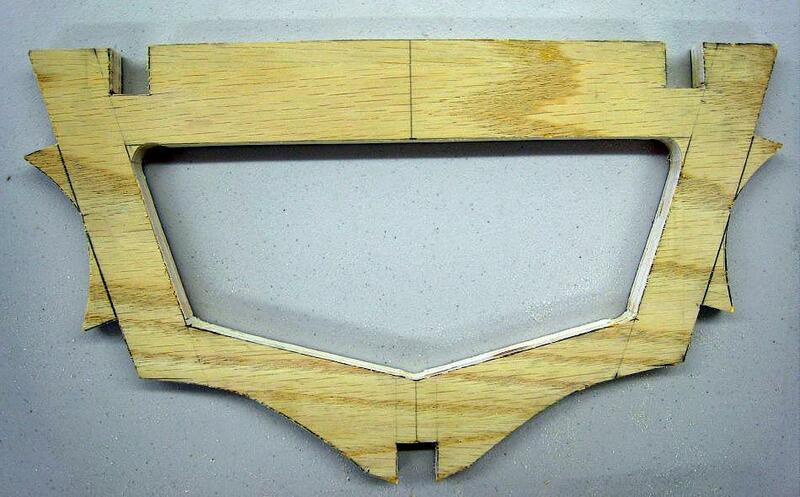 The remaining pencil lines can be erased and the sections sanded at this time or later during final frame sanding.